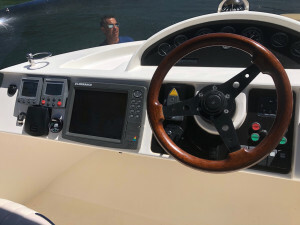 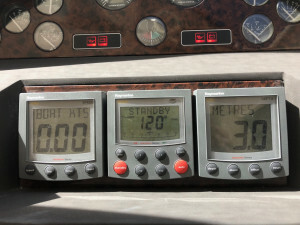 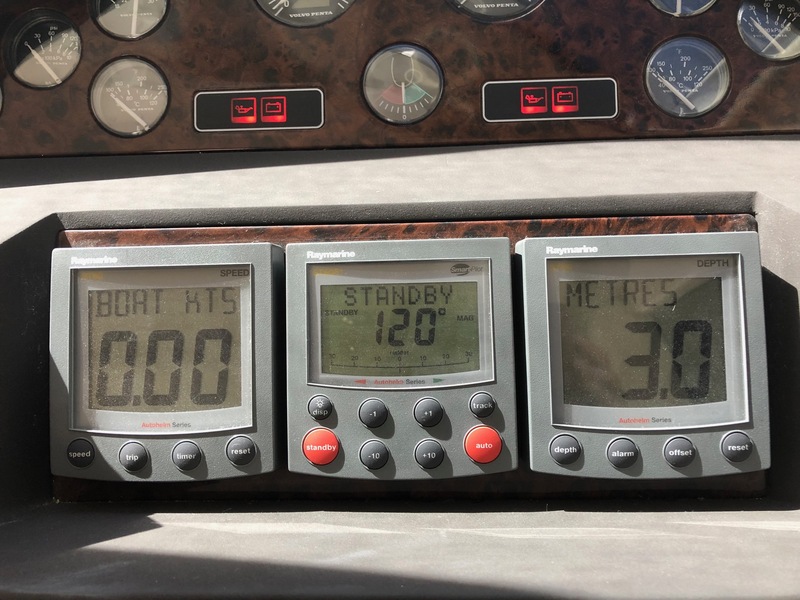 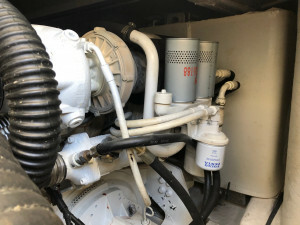 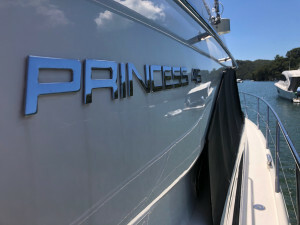 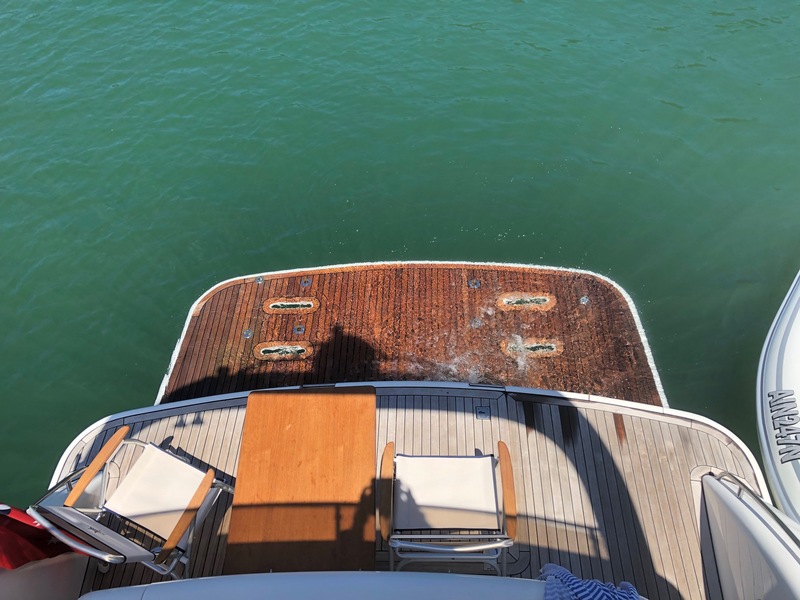 Princess 45 - Stunning vessel that has been very well cared for, low hours on the Volvo Diesel 480hp twin engines which had new turbos and complete cooling system overhaul in 2016. 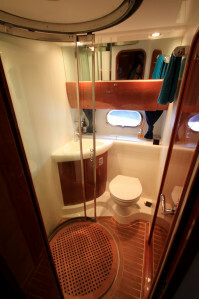 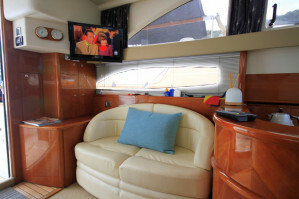 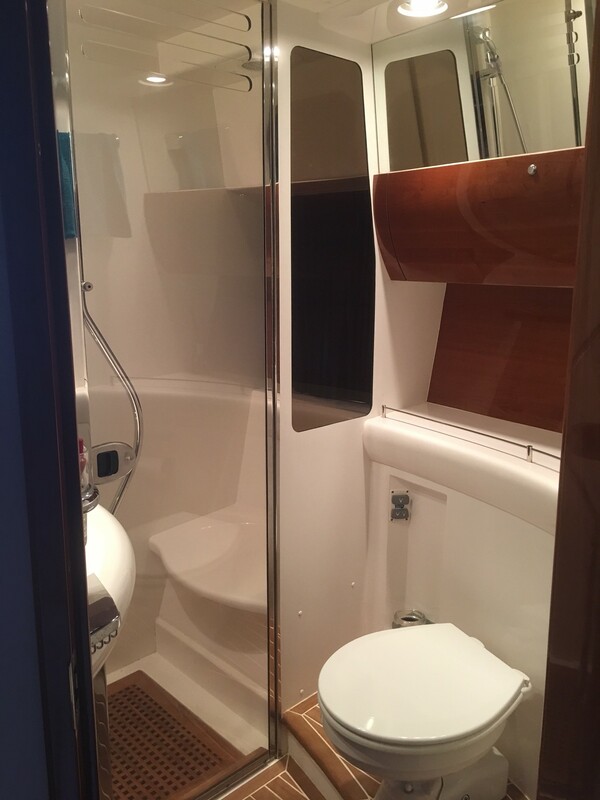 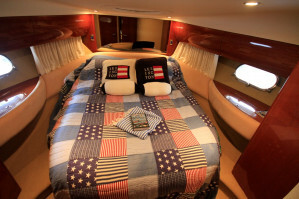 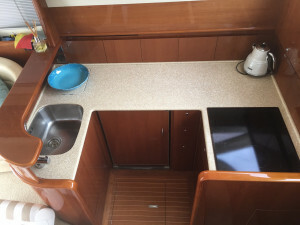 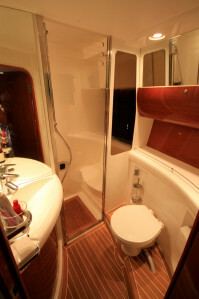 Economical on fuel and with a deep V hull and prop tunnels that offers a solid and stable ride, plus a hydraulic extended swim platform, bow and stern thrusters, good size queen island bed and lengthy twin beds that convert to a queen, plus stunning finishes throughout, blows her counterpart brands out of the water for performance and enjoyment. 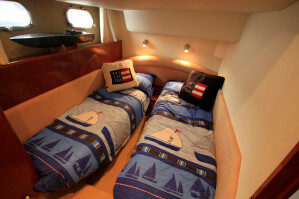 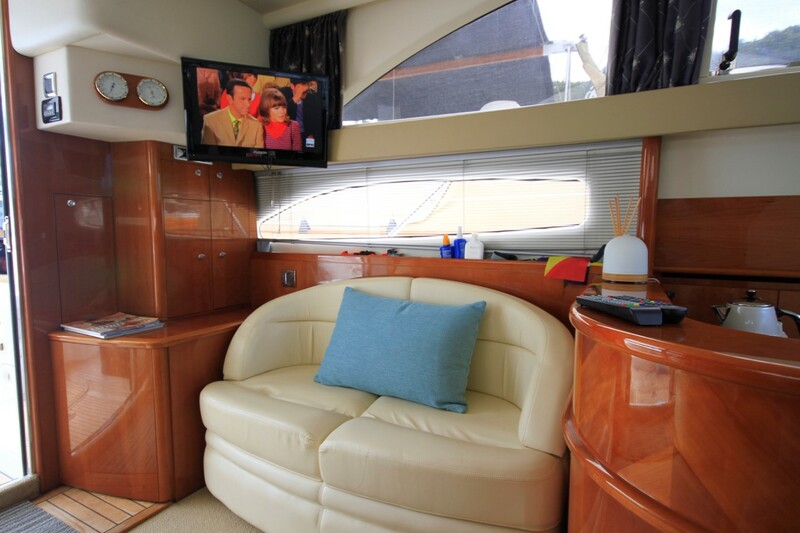 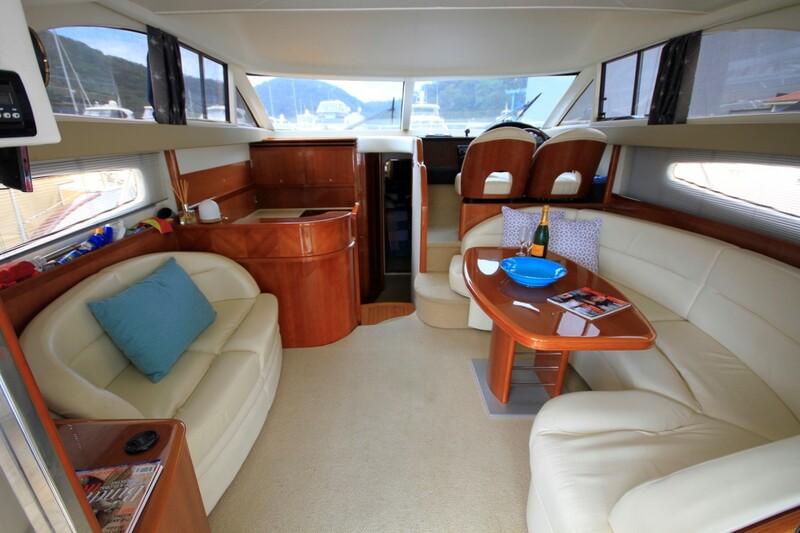 Her two cabin layout each with a generous and stylish ensuite make her an excellent family vessel or perfect for couples that entertain. 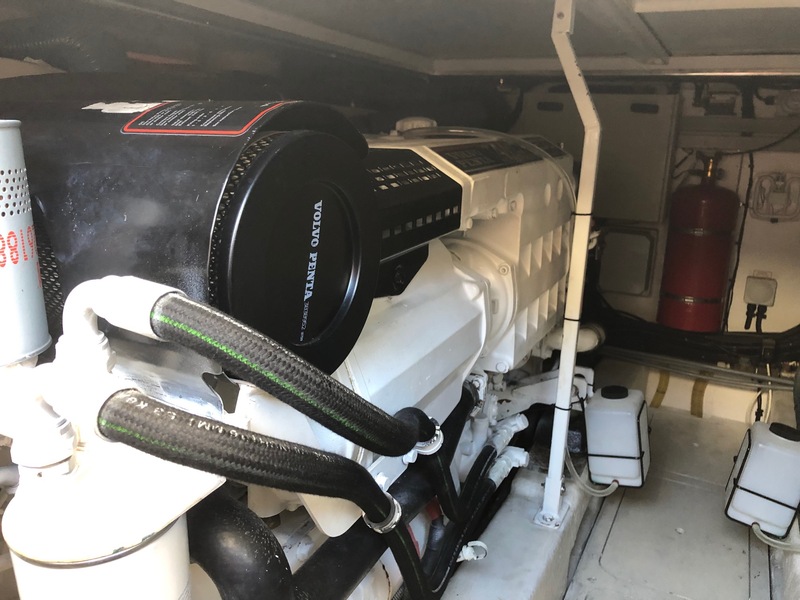 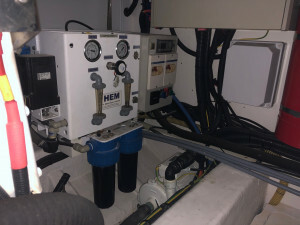 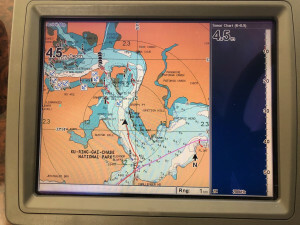 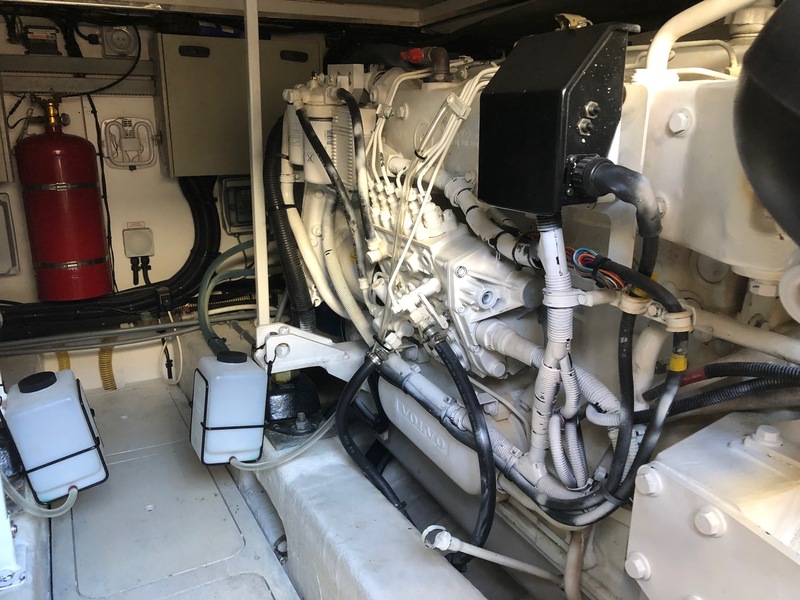 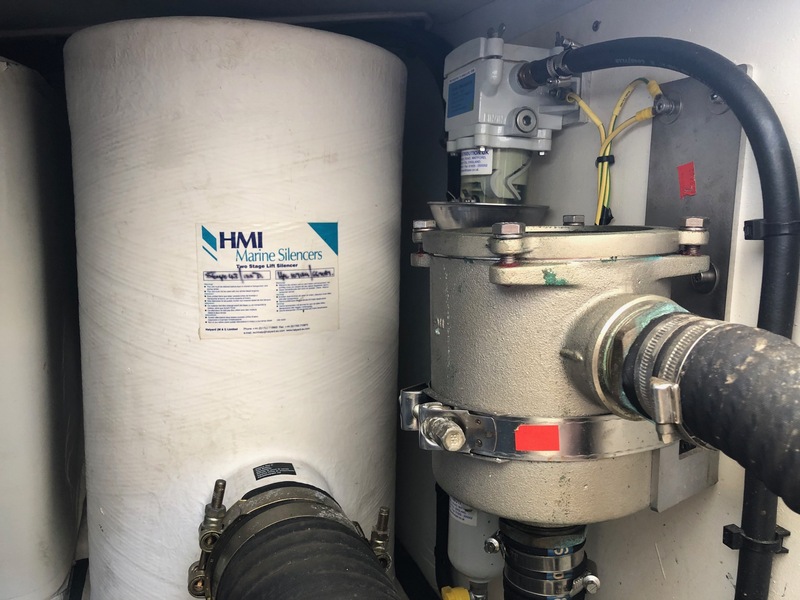 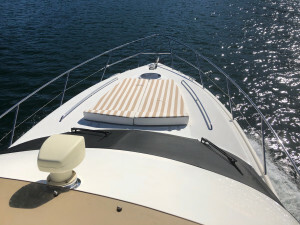 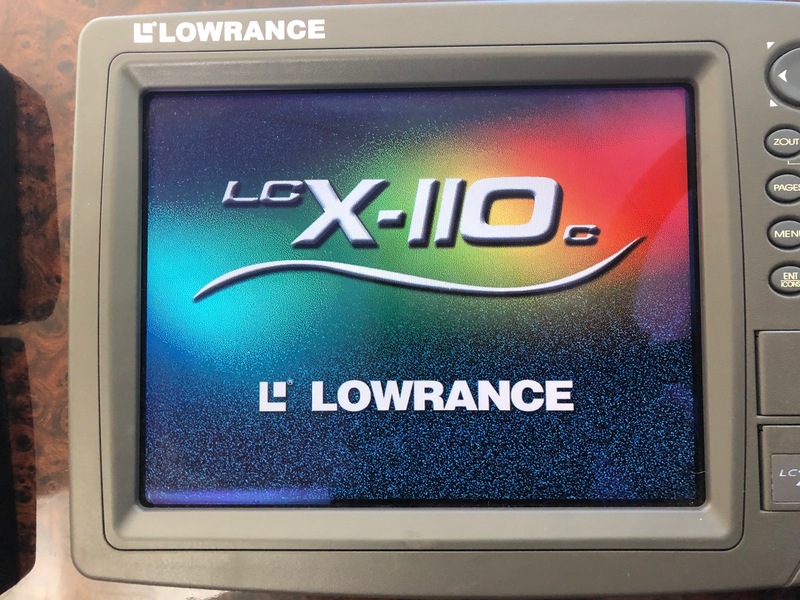 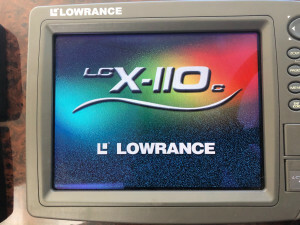 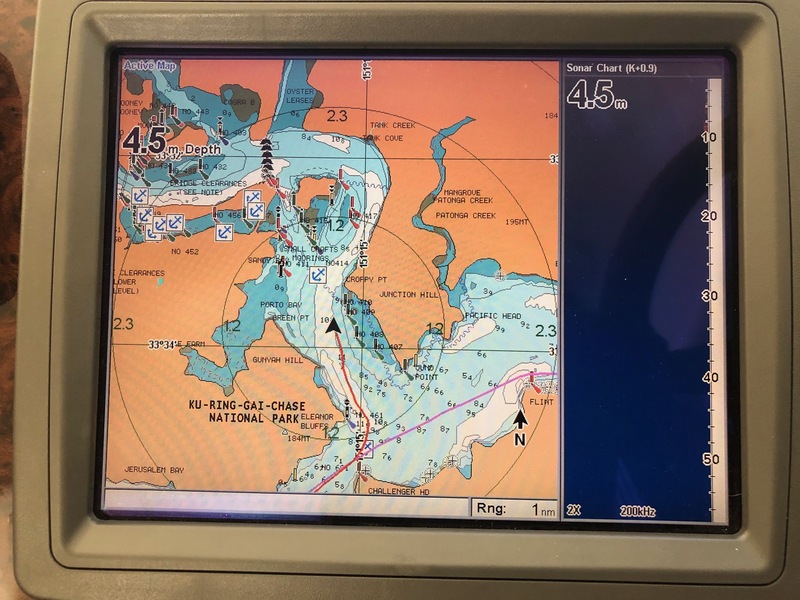 New covers and bimini in December 2018 along with antifoul, engine and genset service. 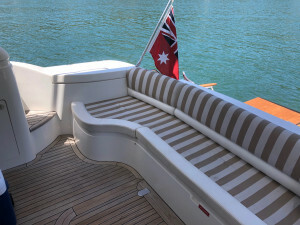 New sun loungers and seats to cockpit in 2017. 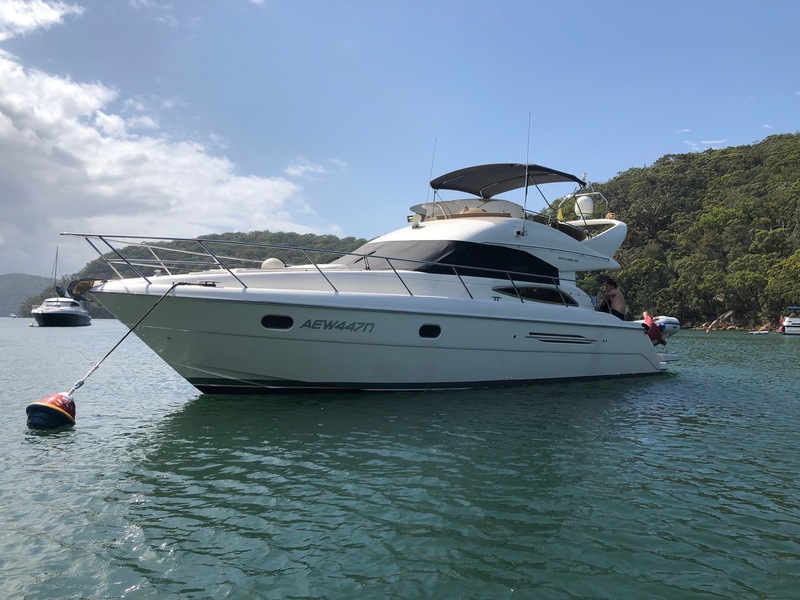 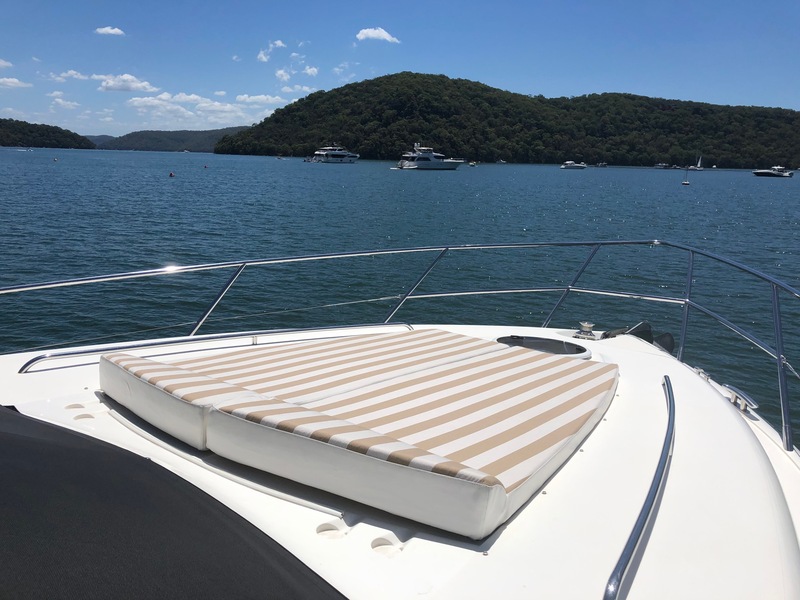 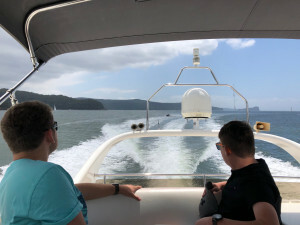 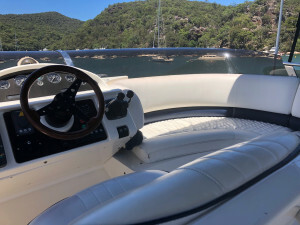 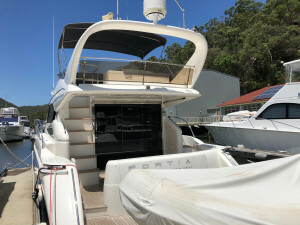 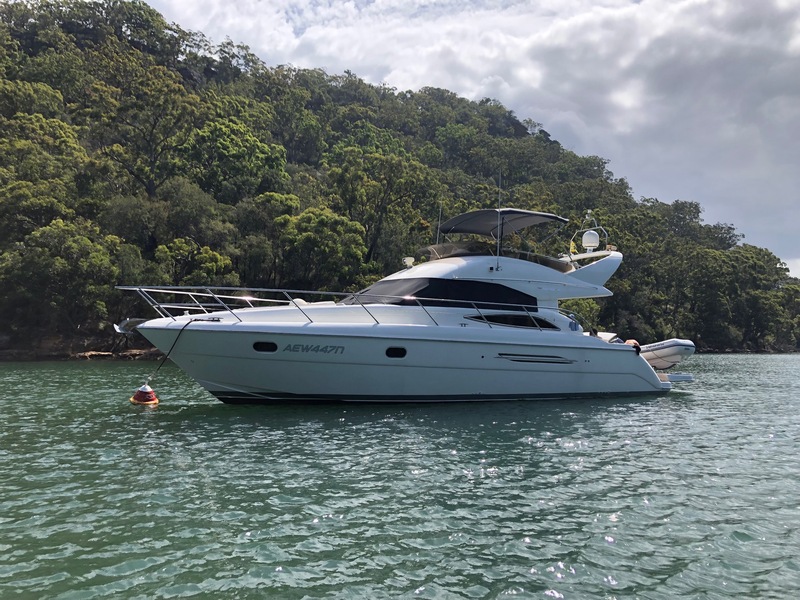 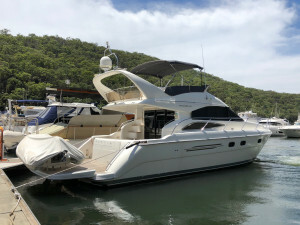 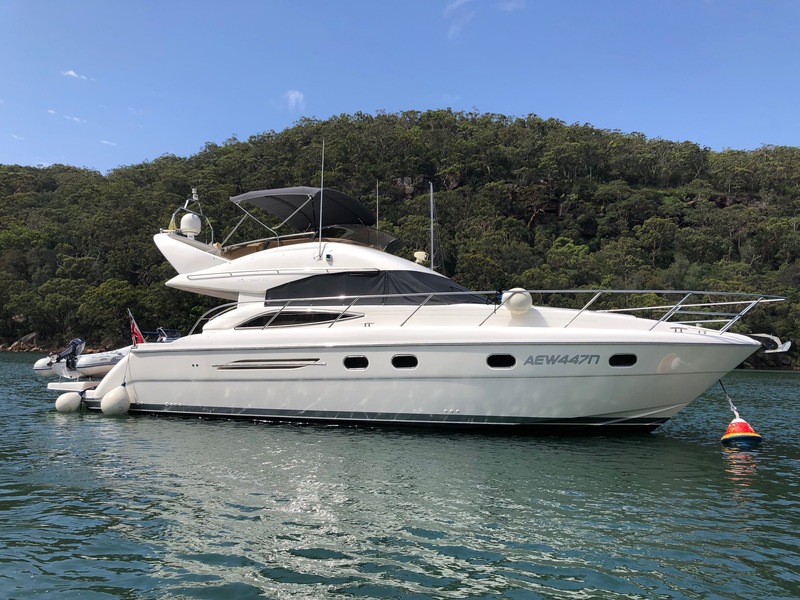 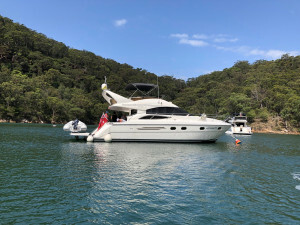 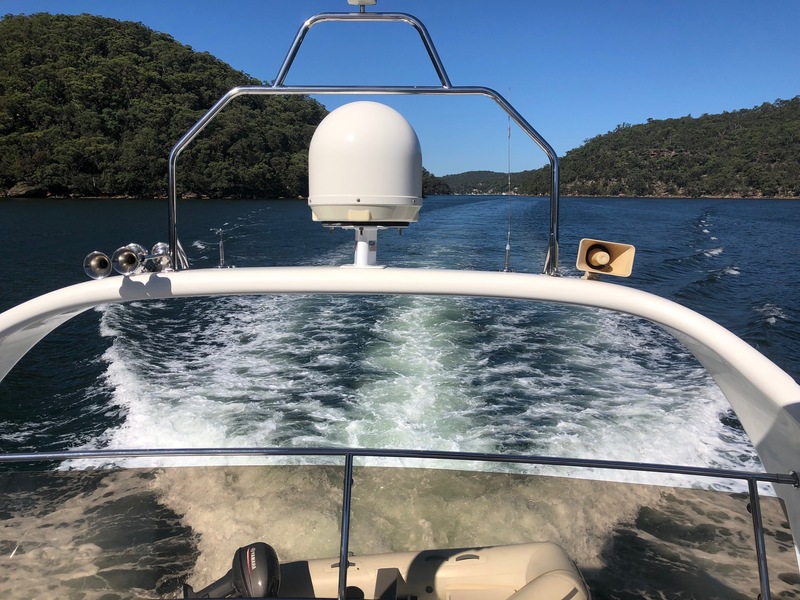 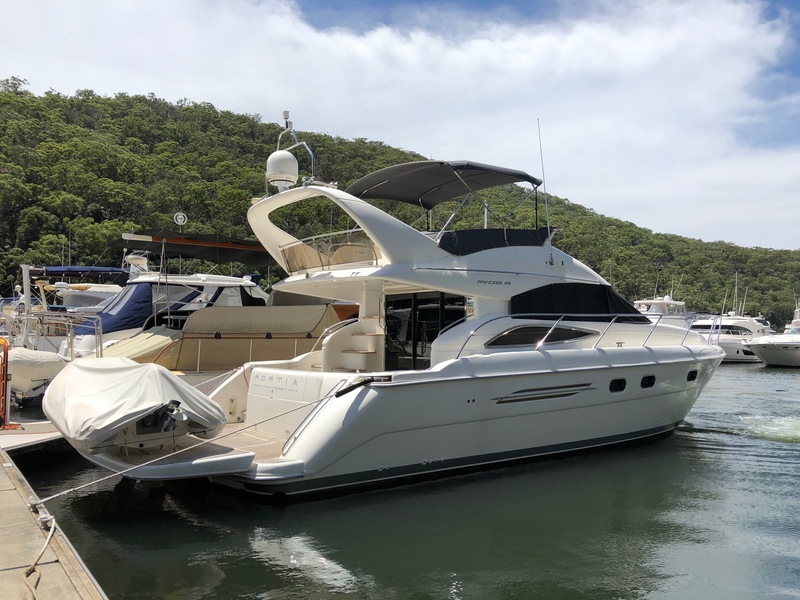 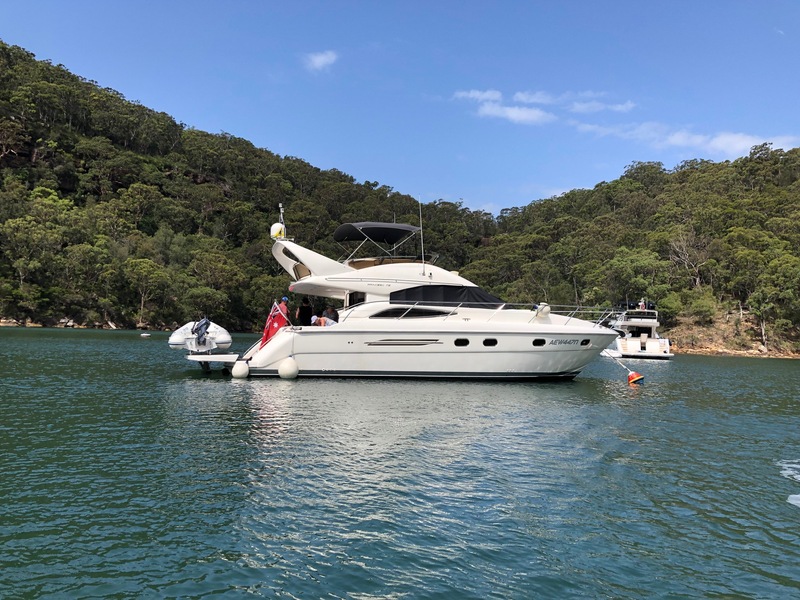 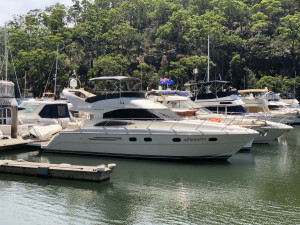 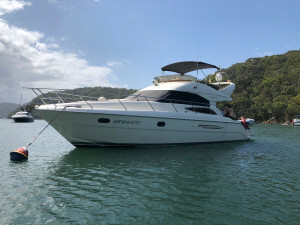 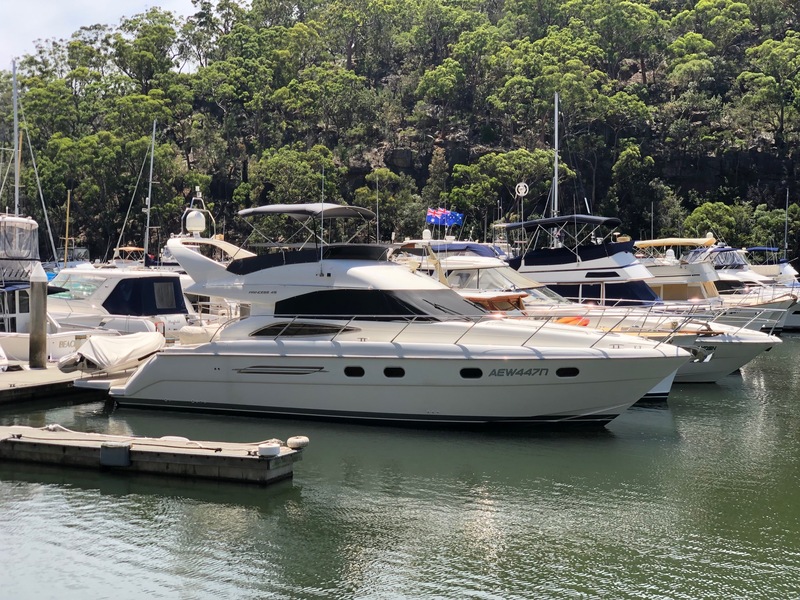 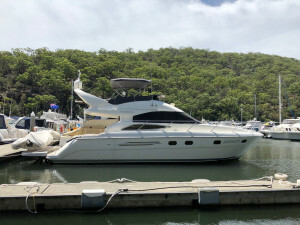 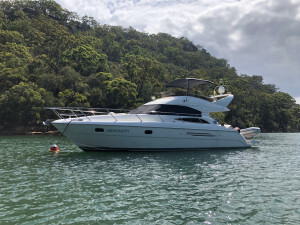 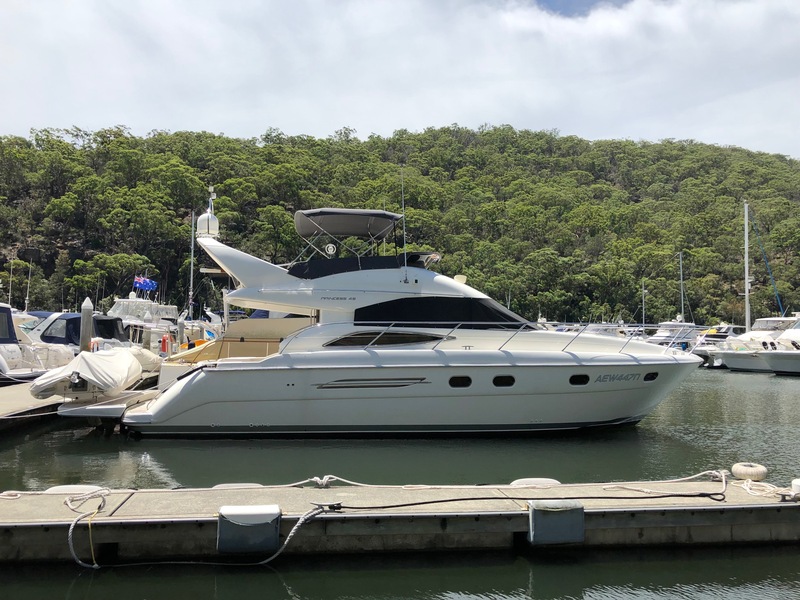 Ready to go and enjoy, this boat is available for viewing at Bobbin Head, please call ahead to arrange a time to ensure she is not out being used by her current owners.